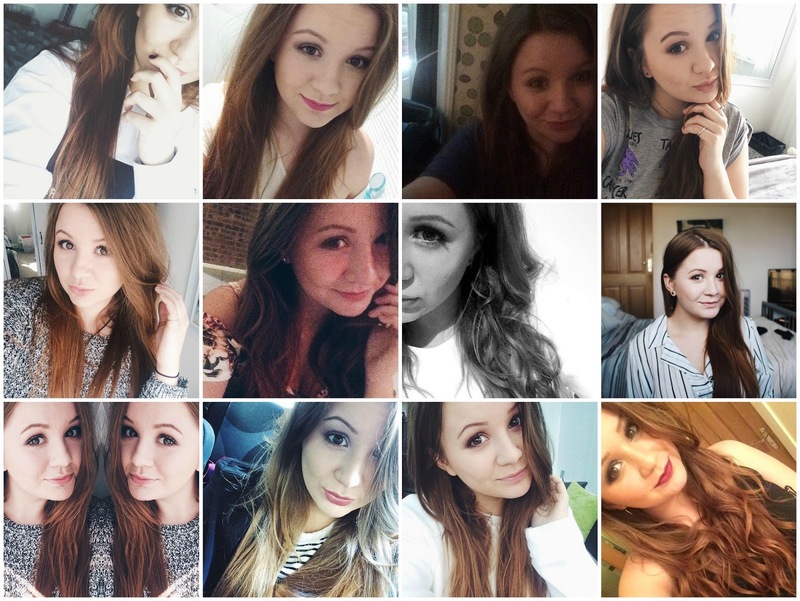 2015- The year I took plenty of selfies! I thought I would write a post taking a look back at myself from when this year began to now. As I turned twenty in the middle of the year I feel I have been trying to become more mature, trying to learn as much as possible and prepare myself for the future ahead even if it's just little things like learning to use the washing machine or big things like taking my car theory test. I'm ready to stop living in my Mum's shadow and have more independence. I have definitely started understanding myself more, I know I have a lot of ambitions and goals but I am quite held back when it comes to achieving them, sometimes my head is screwed on and I'm ready to work hard but sometimes I'm like a deer in headlights. One thing I've really started to understand is what makes me happy and what allows me to have a good time especially in regards to alcohol and nightclubs. I assumed I didn't like drinking and I wasn't one for going out, but I have actually had the best nights out this year, it just really depends on who my company is. On a lighter note I can tell my these selfies my make up game has definitely improved, take me back to January and I would have never known what contouring was. My fashion sense has always taken a massive step, I bought a pair of jeans for the first time in years and it's made me more confident when it comes to clothing, I have starting caring a lot more about what I wear and how I look instead of wearing a baggy tee, leggings and vans all the time. A moment of happiness is better than nothing.